Students that are in the center program may take differentiated courses in the core subjects: Language Arts, Math, Science and Social Studies. All students with an Advanced Learning Plan (ALP) are offered open library/lab time by grade level during Advise once or twice a month for to work on tasks related to their goal or other individual or small group activities. Every student with an Advanced Learning Plan (ALP) should set an annual goal so their school knows what they need and provide appropriate support to ensure they are receiving programming matched to their strengths, interests, and/or needs. In the 2018-19 school year, students will meet with Mrs. Baker to work on setting goals that the students are passionate about and pique their interest. 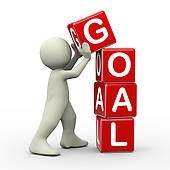 In late October, we will communicate students' goals to both students and their families so we can all work together with students on their goals. While all students receive differentiated instruction, the only courses offered with an Honors designation in the course name are English/Language Arts and Social Studies. All of our Science courses are designated as STEM; national course naming standards permit the use of STEM or Honors, not both. Students that qualify via math placement tests given in the spring may accelerate faster than the traditional math pathway followed in our district via compacted math courses (Math 6/7 and Math 7/8) that allow students to take Algebra in eighth grade (one-year acceleration) or Algebra in seventh grade and Geometry in eighth grade (two-year acceleration). Please see the Curriculum page on our website for more information on math pathways. The district offers one testing window for GT Center placement in the following school year. The 2020-2021 GT Center testing application will be open August 1 through October [DAY], 2019; testing took place on Saturday, [MONTH] [DAY]. More information and the application are available on the district's Gifted & Talented page. Monthly family seminars are offered throughout the school year on subjects relevant to gifted education. No RSVP is required and age-appropriate student attendance is encouraged. Unless otherwise specified, the seminars are held in the fifth floor Board Room of the Jefferson County Education Center, 1829 Denver West Drive, Bldg #27, Golden, CO 80401 from 6:30 to 8:00 pm. Jeffco Gifted & Talented publishes a quarterly newsletter with articles of interest about GT programming in Jeffco, helpful ideas for families of gifted learners and information on upcoming GT-related events.